Hannah Adams, a distant cousin of John Adams, is known as the first professional woman writer in the United States. When her fathers business failed, Hannah began writing to support herself. She wrote theological works and histories, including Summary History of New England (1799), the first history to trace the United States from the Mayflower to the ratification of the federal Constitution. A Memoir of Miss Hannah Adams, Written by Herself with Additional Notices, by a Friend. Boston: Gray and Bowen, 1832. Born in Manchester, England, Burnett moved to rural Tennessee at age sixteen with her financially bankrupt family. To support herself, she began writing for American magazines. Though she began writing novels for adults, she gained lasting success writing for children. She is best known for Little Lord Fauntleroy, The Secret Garden, and A Little Princess. The Secret Garden. New York: Frederick A. Stokes Company, 1911. Kate Chopin was born in St. Louis, Missouri. In 1870, she married Oscar Chopin and moved to Louisiana, living in both New Orleans and Natchitoches. She began to write after her husband died of swamp fever in 1883, and she was forced to support herself and her children. Bayou Folk (1894), a collection of stories about life in Louisiana, gave her national recognition. Her popularity soon ended with the publication of her controversial, but now critically aclaimed novel, The Awakening (1898), which deals with female independence through a suicidal female heroine who leaves her husband and children in an attempt to discover her personal freedom. Bayou Folk. Boston: Houghton, Mifflin, 1894. First editon. 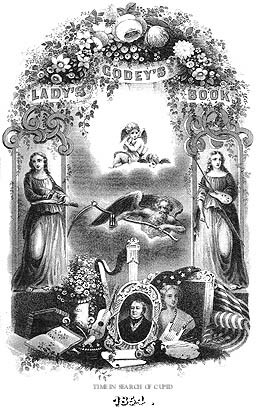 With encouragement from her father, Richard Lovell Edgeworth, Maria Edgeworth wrote a string of books aimed at children as well as novels for adults. She lived a majority of her life in Ireland, and her novels focus on Irish common life. These the include Castle Rackrent (1800), Ennui (1809), The Absentee (1812), and Ormond (1817), which influenced Sir Walter Scotts treatment of Irish regional subject matter. In her writings, she deals with sexual equality and often features a woman as the central character. Frank a Sequel to Frank in Early Lessons. London: Printed for R. Hunter, and Baldwin Cradock and Joy, 1822. 3 vols. First edition. Moral Tales for Young People. London, New York: George Routledge and Sons, 188-? 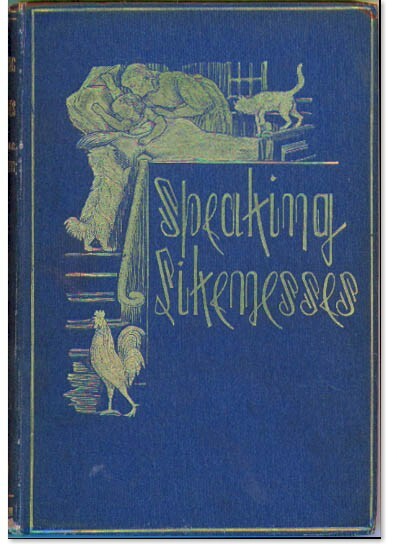 New edition with eight illustrations. 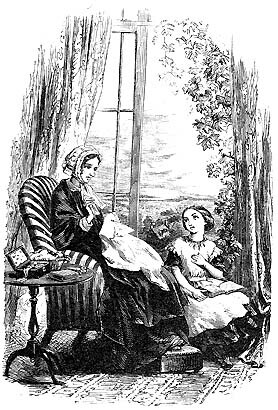 Her Elsie character "attained more widespread interest and affection" than any other character in juvenile fiction of the time with the exception of Twains Huckleberry Finn. Because her family was against the idea of advertising her name, she used the pseudonym, Martha Farquharson. The idea for her Elsie character came to her while bedridden with a back ailment and dependent upon her stepbrother. 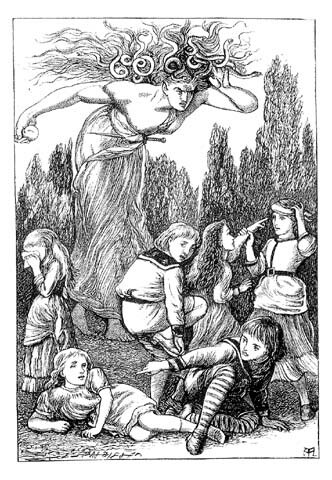 The twenty-eight volumes of her Elsie series "follow in the tradition of the stories of pietistic children born with an instinct for good and evil as delimited by the Puritan code, children who not only fight off temptations but also enlighten and urge to salvation their elders, thereby appeasing an angry God, eluding Satan, and earning their rewards in heaven when they die holy and dramatic deaths sometime between the ages of two and twelve. . . . Elsie actually did pass briefly beyond the boundaries of the living in the second volume of the series, but miraculously she rose again to live a long life" (Smedman). Elsie Dinsmore. New York: Dodd & Mead, 1867. Maria Graham traveled extensively with her father, Admiral George Dundas, and then with her husband, Captain Thomas Graham, who died in 1822 during their trip to South America. She returned to London in 1824, and in 1827 married Sir Augustus Wall Callcott, the celebrated artist. She died in 1842, after being an invalid for several years. Her many works include travels to India, Rome, Brazil, and Chile; essays on artists; and, her most famous, Little Arthurs History of England. Journal of a Residence in Chile, during the Year 1822. And a Voyage from Chile to Brazil in 1823. London: Longman, Hurst, Rees, Orme, Brown, and Green, and John Murray, 1824. Journal of a Voyage to Brazil, and Residence There, during Part of the Years 1821, 1822, 1823. London: Longman, Hurst, Rees, Orme, Brown, and Green, 1824. As editor for the popular Ladies Magazine (later renamed Godeys Ladys Book), Hale earned widespread influence with American women from 1828 to 1877. She began writing after her husband died, when she was left pregnant and with four other children. After having a book and novel published, she was invited by John L. Blake to edit Ladies Magazine. The women writers she accepted as editor helped to promote women as professional writers. The Magazine included correspondence, stories, poetry, music, and fashion plates. Hale preferred to depict women in simple dress as opposed to other magazines, which showed women in more flamboyant, European styles. She argued that simple attire promoted a more physically active lifestyle. However, her fashion sense lacked popular appeal, and she chose to discontinue fashion plates rather than promote a more European style. In some of Hales most notable editorials, she took up the cause to make Thanksgiving a national holiday. Her persuasive writing campaign eventually convinced Abraham Lincoln to officially declare Thanksgiving a national holiday in 1863, in the midst of the Civil War. Hamilton, an essayist, journalist, and fiction writer, was born Mary Abby Dodge in Hamilton, Massachusetts, and lived as a school teacher and governess in New England and Washington, D.C. In the late 1850s, she began publishing for the anti-slavery paper, the National Era, under the pen name, Gail Hamilton. She went on publish books on womens rights, politics, religion, and childrens subjects. In 1867, she sued her publisher, Ticknor and Fields, for deliberately underpaying her in relation to the industry norm. Although she was unsuccessful, she "made a significant contribution to the history of the professional (women) writers, and she exposed the Gentleman Publishers market for what it really was: a relationship based on power, even when conducted as a friendship" (Coultrap-McQuin). Womans Wrongs: A Counter-Irritant. Boston: Ticknor and Fields, 1868. First edition. Dodge wrote Womans Wrongs as a critical response to Reverend John Todds Womans Rights (1867). Womans Worth and Worthlessness. The Complement to "A New Atmosphere." New York: Harper & Brothers, 1872. First edition. Houstoun was born into the British upper class. Her mother was the daughter of a wealthy baronet and her father was Deputy Surveyor of Royal Parks. 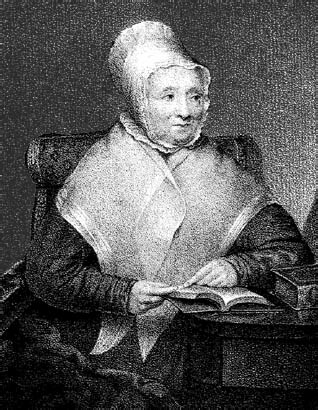 Much to Houstouns annoyance, she was educated by a Welsh governess who forbade her to read novels. Ironically, she went on to write over twenty books, including novels and travel literature. Texas and the Gulf of Mexico is an account of the year she spent sailing around the Americas with her husband on their yacht. Texas and the Gulf of Mexico; or Yachting in the New World. London: John Murray, 1844. 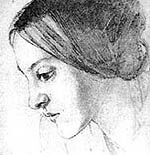 Christina Rossetti was the youngest of four children of Gabriele Rossetti, an Italian exile and Dante scholar. Christinas siblings chose to pursue artistic and literary careers. Her brother Dante Gabriel, painter and poet, founded the Pre-Raphaelite brotherhood, a group promoting beauty in art and a harkening back to more primitive, medieval themes. The other two children, William Michael and Maria Francesca, were also published writers. 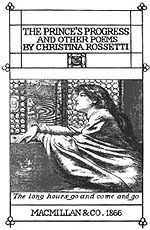 Christina began publishing poems in D.G. Rossettis Pre-Raphaelite journal, The Germ (1848). 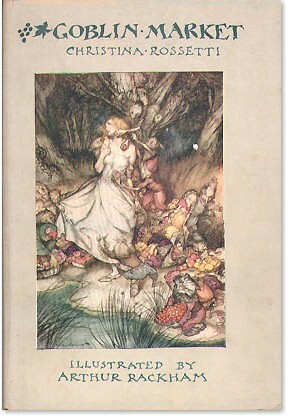 Her first collection, Goblin Market and Other Poems (1862), has been considered the first literary success of the Pre-Raphaelites. She went on to publish both for children and adults throughout her life. She was a devout Christian, and religious themes are often central to her writing. 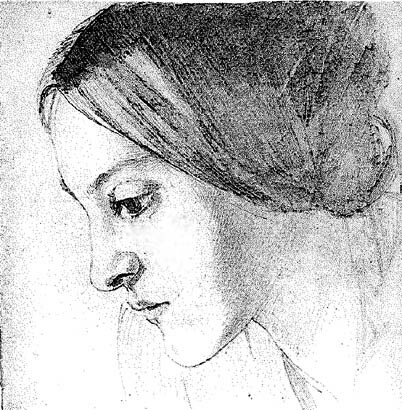 New Poems by Christina Rossetti Hitherto Unpublished or Uncollected. Ed. William Michael Rossetti. London and New York: Macmillan and Co., 1896. First edition. The production of Christina Rossettis books was treated as an artistic endeavor. They were designed by D.G Rossetti and other artists affiliated with the Pre-Raphaelite movement; thus, great care was given to their aesthetic appearance. 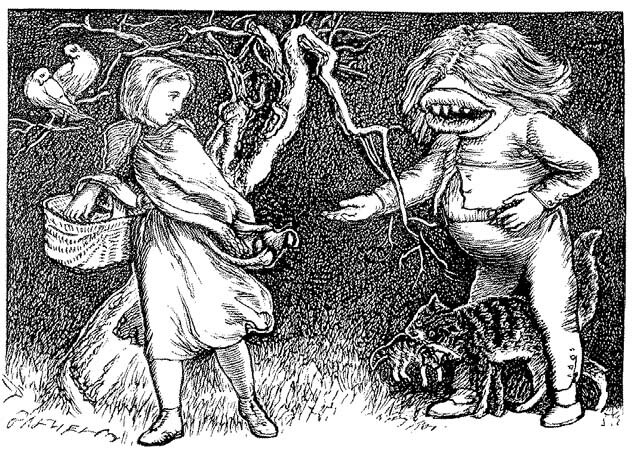 Goblin Market and Other Poems. London and Cambridge: Macmillan and Co., 1865. Second edition. 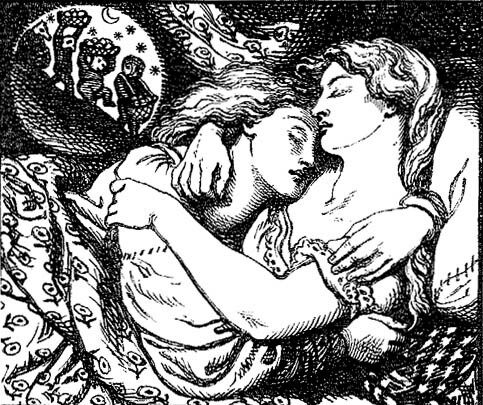 Designed and illustrated by Dante Gabriel Rossetti. The Princes Progress and Other Poems. London: Macmillan & Co., 1866. 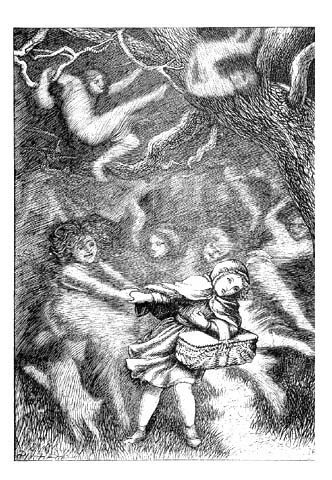 Designed and illustrated by Dante Gabriel Rossetti, engraved by W.J. Linton. First edition. Speaking Likenesses. London: Macmillan and Co., 1874. First edition. 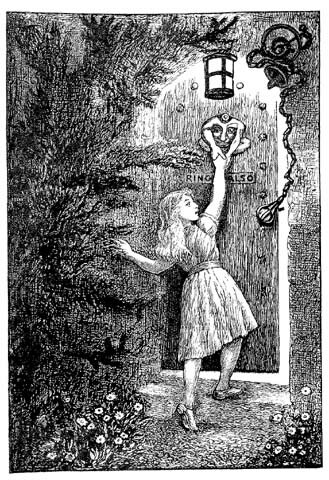 Illustrated by Arthur Hughes. The Trial of Joanna Southcott, During Seven Days, Which Commenced on the Fifth, and Ended on the Eleventh of December, 1804. At the Neckinger House, Bermondsey, Near London. London: Printed by S. Rousseau, sld by E.J. Field, W. Symonds, and the Miss Eveleighs, 1804. Southcott went to trial to defend herself against claims that she was an impostor. A Dispute between the Woman and the Powers of Darkness. London: Marchant and Galabin, 1813. Second edition. In this seven-day long exchange between Southcott and Satan, or Satans friends, Satan dares to curse both God and Southcott. She eventually persuades the evil forces to return to God. 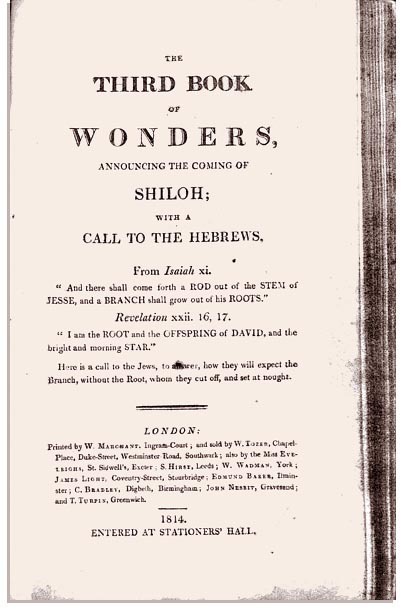 The Third Book of Wonders, Announcing the Coming of Shiloh; with a Call to the Hebrews. London: Printed by W. Marchant, 1814. Southcott predicted that she would give birth to a second messiah called "Shiloh." Even though she reportedly died without ever having given birth, her followers continued to believe in her prophetic voice. Some speculated that a child had been born, but was immediately sent to heaven and would return later. Spyri was born in Hirzel, Switzerland, and spent her life around Hirzel and Zurich. She began publishing at age forty-three out of a desire to contribute money to the Franco-Prussian war. Altogether, Spyri wrote sixteen books, which include novels and short story collections. Although her work was mainly for childrens entertainment, she also tried to teach adults how to educate children. She is best known for Heidi (1880-1881), the classic tale of the Swiss orphan taken from her grandfathers alpine hut to live as a companion in the Sesemanns confining and stern Frankfurt household. The Heidi books featured on exhibit are part of the Gustine Weaver Collection, UNT Libraries, Rare Book Room. Heidi: Her Years of Wandering and Learning: A Story for Children and Those Who Love Children. Trans. Louise Brooks. Boston: DeWolfe & Fiske Company, c1884. One of the first editions translated into English. Heidi. Boston: Ginn and Company, 1899. Heidi: A Story for Girls. Trans. H.A. Melcon. New York: A.L. Burt Company, 1901. Heidi. Trans. Elisabeth P. Stork. Philadelphia and London: J.B. Lippincott Company, c1915. Heidi. New York: Thomas Y. Crowell Company, 1927. 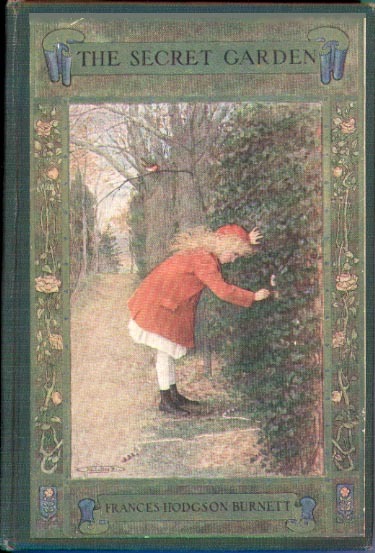 Illustrated by Constance Whittemore. Although best known for her antislavery novel, Uncle Toms Cabin, Harriet Beecher Stowe also wrote nine other novels, short fiction, and nonfiction. Her nonfiction includes her travel sketches, published as Sunny Memories of Foreign Lands. The book accounts her travels starting in 1853, when Stowe accepted an invitation to Europe to escape the criticism she received from the publication of Uncle Toms Cabin. On her tour, she visited England, Scotland, France, Luxembourg, Switzerland, Germany, and Belgium. Sunny Memories was well liked and often used as a guidebook for travelers. Sunny Memories of Foreign Lands. Boston: Phillips, Sampson, and Company; New York: J.C. Derby, 1854. 2 vols. Exhibit and Web design by Gwen D. Smith.